FreshBI is a cloud-based Business Intelligence company that specializes in affordable, easy-to-use mobile analytics services. Without the need for an IT team, the company help you import your Intelligence data with the click of a button, allowing you to analyze your business performance instantly and making informed decisions, fast. Their world class platform shows you the data you want to see in visually stunning charts, anywhere, anytime and on any device. 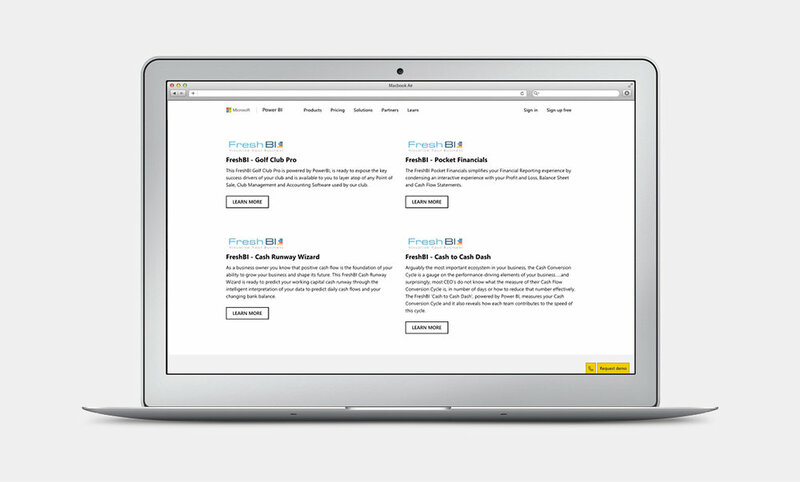 FreshBI is the perfect complement to your existing digital services. Joseph has been a key player in our team in our quest to build a framework that communicates exactly what our company, FreshBI, is and what we can offer to our customers. He has the ability to listen to the business owner's story and independently translate that into a succinct and visual message. He is always on time and on budget and most importantly, always delivers a high quality product with high service levels. I would recommend Joseph to any company, anytime. Craig Juta, Founder & CEO at FreshBI Reporting Inc. Prior to becoming FreshBI, it was named The Intelligence Store. Craig's background was in working at the Sage Group, a software company, and through The Intelligence Store, Craig and his team focused on delivering business intelligence as an add-on to the services delivered by Sage. His clients were mostly through his connections from Sage. Craig wanted to shift the company towards a more product-based revenue model, and with his desire to expand beyond the Sage target market, he created a new company called FreshBI. This company focused on delivering a product that integrated deeply with Power BI. This update was a large change in the direction of the company, and his new website needed to reflect this. Generic stock images were used throughout the website to convey "Business Intelligence", where many of them in fact screamed "Business Meeting" / "Working on a Computer" / "Lunch" / "Coffee", etc. There was a lack of visual hierarchy, where content was wrapped in large blocks of paragraphs with no breaks in between, hindering readability. The Intelligence Store had close to 20 separate services throughout the entire site. For a normal user, he/she would have a hard time discovering exactly what they needed when each of these services contained additional pages with long descriptions and explanations. It was simply an information overload. This required a lot of resources from Craig and his sales team in selling to his potential clients exactly how his services could benefit them. My first impression of the home page was that it did not scream "Business Intelligence". The entire website was fashioned like an eCommerce store with a shopping cart, where customers come in and check out with a set of services. Switching to a more product-based business, means that I needed to give the website a more personalized, premium quality feel where the products are consolidated, clear, and concise. Clear & Concise Messaging: With the target audience now for any mid- to large-sized companies, the messaging has to be from the perspective of a prospective business owner who knew nothing about data intelligence. Modern Visuals and Branding: The website needs to reflect current website trends, with large images, visible content hierarchy and consistent colours & fonts throughout the website. Increase Conversion Rate: With the first two goals achieved, it's important for me to show Craig that simplifying the message can and will lead to an increase in conversion rate, and naturally, the revenue. Since the new FreshBI website has launched, "Visualize Your Business" has become the dominant tagline to showcase across the website. 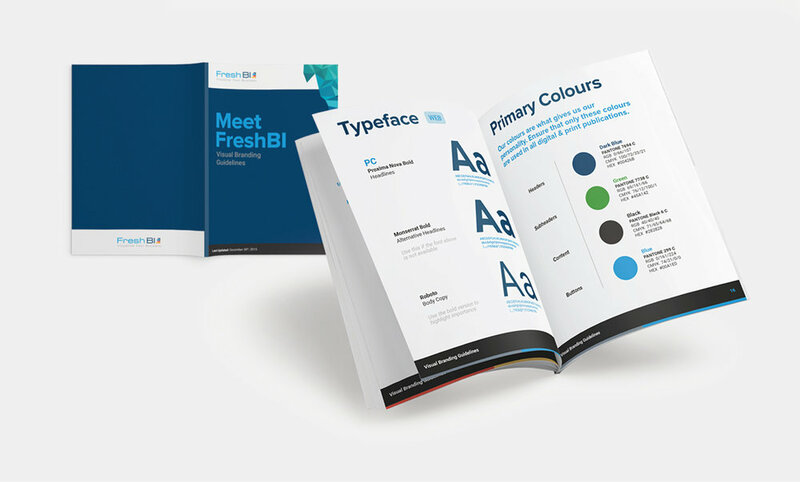 With a brand new logo and a focus on using Microsoft Power BI as their primary platform to build on, FreshBI is more colourful, more detail-oriented, and more focused than ever before with business intelligence in the forefront of their operations. Built with scalability in mind, Wordpress was used as the main CMS, and Amazon AWS as the hosting. This flexibility combined with security allows Craig and I to easily support and expand the website as we continue to grow the products that FreshBI will offer in the future. This also allows us to iterate on the website month-over-month in improving its UI/UX. Working closely with Craig, many of the services were simplified, combined, and consolidated into several main products to improve upon the user experience for the customers. This led to a much cleaner interface, as well as an increased amount of opportunities to incorporate further value propositions onto the reader including screenshots, competitor analysis, testimonials and product summaries. Overall, the website redesign was a great success. Within the first three months, FreshBI became a partner and provider of Microsoft Power BI, featured exclusively on the Microsoft website in providing business intelligence solutions to a wide number of industries and technologies. The amount of traffic leading to the website more than doubled within the first three months, and the number of leads generated increasing steadily by 15-20% month over month since the beginning of 2016. In 2017, FreshBI announced a new merger with AutoExcel Reporting Inc., giving them the ability to reach customers across North America, United Kingdom and South Africa, and modernizing their analytical services to across the entire Microsoft BI stack spectrum. Needless to say, FreshBI is looking forward to the years to come with many successes in their product lineup. 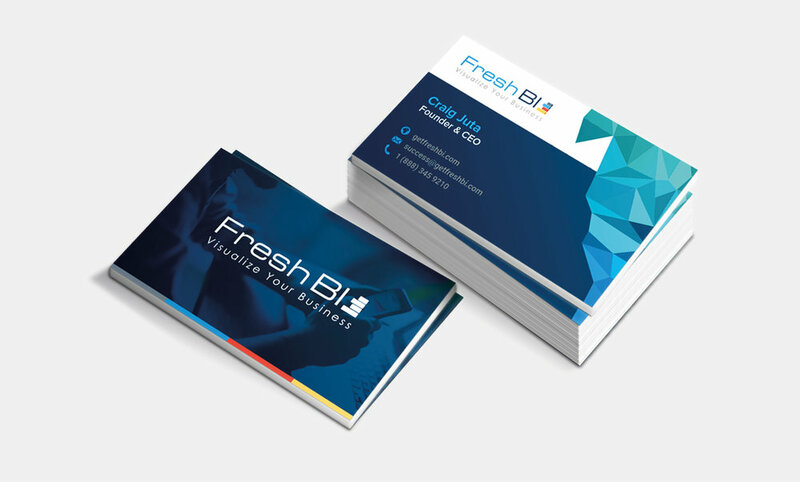 In addition, as we continued our mantra of "Visualize Your Business", I was also in charge of building out branding material and marketing collateral for FreshBI to use in their business operations. Below are just a number of marketing pieces for them, including branding guides, infographics, product sheets, business cards and more. 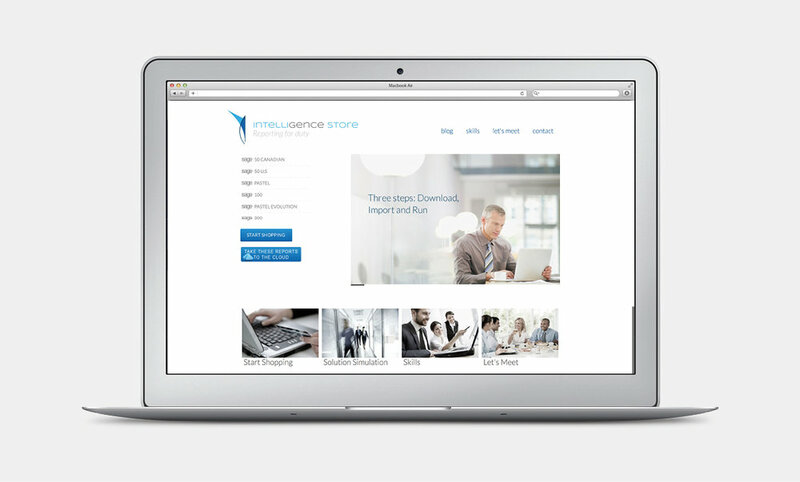 Since our launch of the website in 2017, FreshBI as a business has gone through several monumental changes, and we’ve successfully ported the site over to the Squarespace CMS for additional flexibility. The company has expanded across North America, with offices spanning Victoria, BC to Houston, Texas. I look forward to the future success of Craig and FreshBI.